Is there a better alternative to sArchiver? Is sArchiver really the best app in Compression category? Will sArchiver work good on macOS 10.13.4? sArchiver is the lord of archives. Integrated DMG image creation utility. Supports AES-128/256 password encryption. Note: sArchiver is now free! Get your free serial. Unique SFX (self-extracting) technology. sArchiver is able to create independent self-extracting archives. The SFX archive doesn't need any application to extract it self. That's freedom. Integrated backup system. sArchiver can backup your Applications Preferences and personal Documents. The backups are totally independent. You don't need sArchiver to restore your information. Integrated archive converter. You can convert rar, zip, 7z, LHA, ARJ, gzip, bzip2, tar to rar, zip, 7z. sArchiver can preview your archived picture collection without extracting the archive. 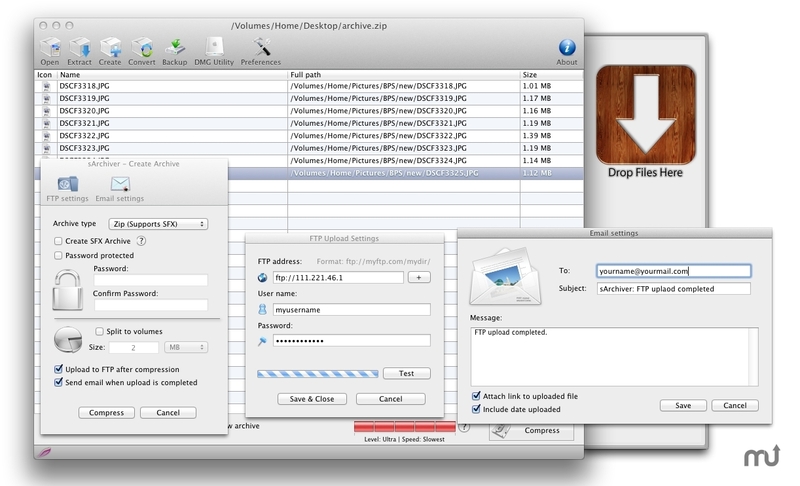 sArchiver is able to extract multiple archive files directly from finder. (select all files and double click on one of them while they are all still selected).